Product information "Pen plating system "GalvanoBrush" - Basic kit"
High quality for a reasonable price - suitable for beginners as well as for professionals. 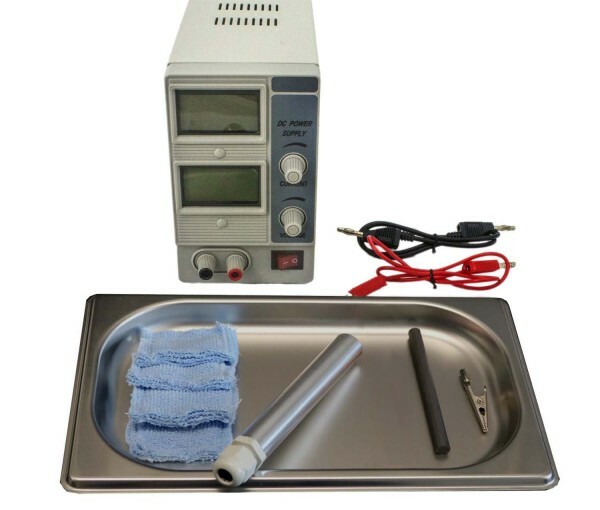 Our electroplating device offers everything you need for pen plating. Even non-conductive surfaces can be successfully plated with our conductive varnishes and special electrolytes. If you have any questions, we'll always be at your disposal. The pen plating device has various application fields. It allows you to gild, silver-plate, nickel-plate, chrome-plate, copper-plate or galvanize. All the needed electrolytes, degreaser and accessories can be purchased in our online shop. Related links to "Pen plating system "GalvanoBrush" - Basic kit"
Instruction manual for Tifoo Pen plating system "GalvanoBrush" - Basic kit as PDF file. Customer evaluation for "Pen plating system "GalvanoBrush" - Basic kit"